Once upon a time there was a stately ice box residing in a general store. It was proud of it's prestigious position and proudly kept milk and cheese cold for the village folk. 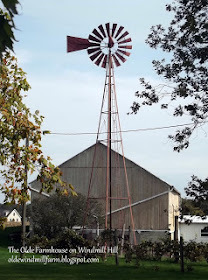 It resided there many years and heard many tales from gossiping farm wives that came to town to trade their milk and cheese for sugar, flour, and cornmeal. But one day the storekeeper succumbed to the pressure from a traveling salesman to purchase an electric gadget that would keep things cold. The ice box was removed from it's place of honor right inside the general store entrance and placed in a back room. The ice box was no longer used for cold storage but it was still used for storage of extra merchandise. It sat in the back room for many years gathering dust and growing sadder and sadder. Finally, the general store was closing it's doors. Times were changing and there was a new Supermarket in town. People no longer came to the general store to buy, sell, and trade. There was an auction and the villagers and farmers proudly carried home a piece of history to be put to use in their homes. 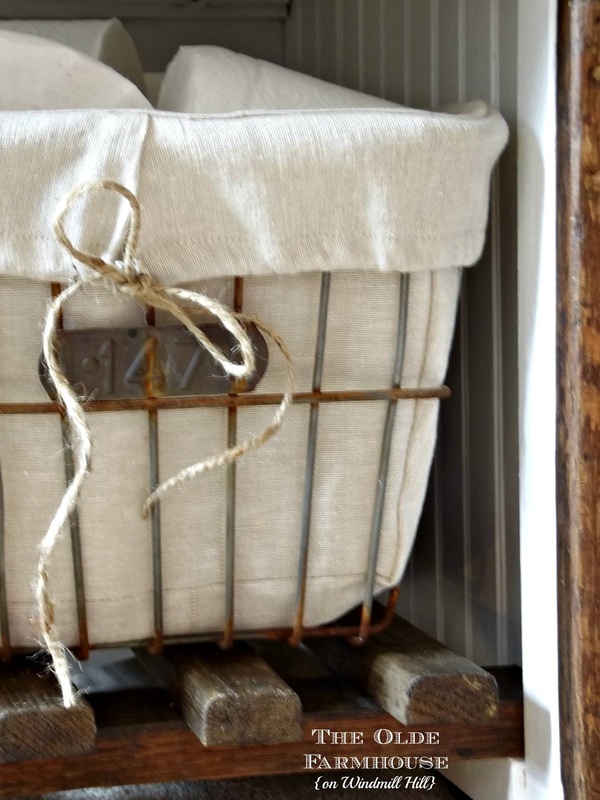 The ice box was purchased by a farmer and placed in his barn to be used for a storage cabinet. Many years passed and the poor ice box nearly forgot that it once had a place of honor. 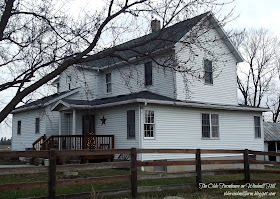 One day, the farmer was organizing his barn and sprucing things up and decided the ice box could use a face-lift. 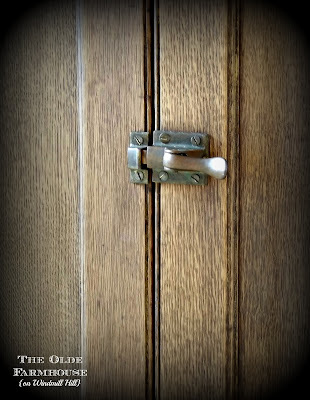 He gave it a coat of brown paint and even attempted to mimic wood grain. He was rather proud of his efforts and for awhile the ice box shone again. Time passed and the farmer passed away. The ice box sat, almost completely neglected. Only occasionally the farmer's rowdy sons would have a party and throw their empty beer cans inside. The roof in the barn began to leak and the ice box often sat in a puddle of water. It slowly began to rot. One beautiful spring day, the farmers wife decided to have her sons clean out the barn and get rid of anything not in use. The ice box was in the way. It was big and heavy; filthy and rotting. "Get rid of it", she said. So, the sons put the ice box up for free on a well-known website called Craigslist. A woman that loves rescuing old things saw the listing and immediately called the number listed. "Yes, it's still here and if you can come right away, we will help you load it." The woman rushed out to her husband and blurted out the story and could she please use the pick-up truck and go get it? The husband smiled and granted permission. He was used to his wife's rescue attempts. When the woman got home with the ice box, her husband looked at it a bit doubtfully and asked, "what are you going to do with it'? "I don't know", replied the wife, "but for free, I'll figure out something". 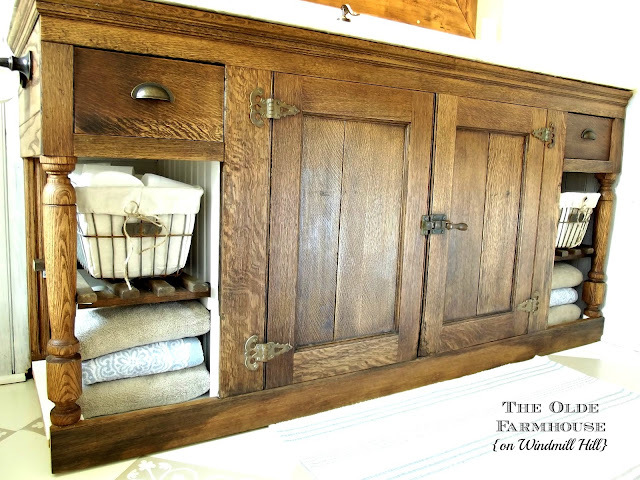 The ice box sat in the garage for over a year until one day the woman had the brilliant idea to convert it into a vanity for her farmhouse bathroom. 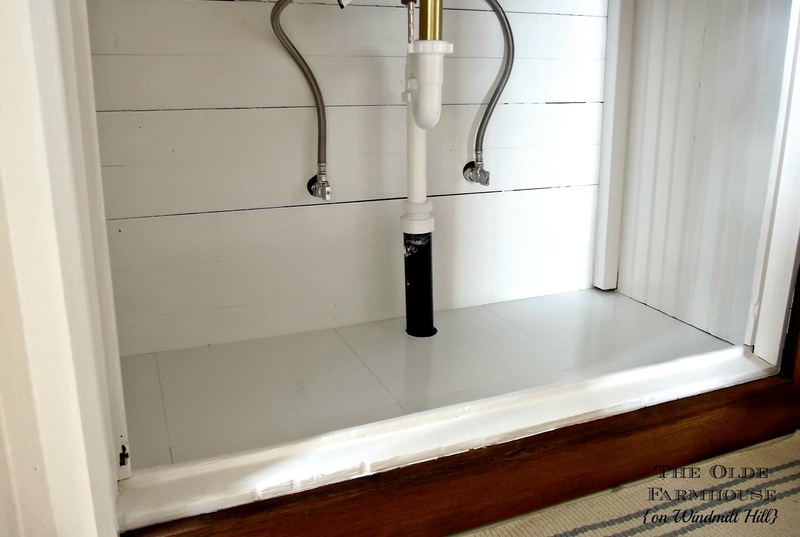 Having seen an idea for an open ended vanity, she was delighted to realize that this configuration would eliminate the worst areas of decay and abuse. One fine summer day she enthusiastically tore into it, tearing off the back. And then the bottom. And then the ends and top. Until all that was left intact was the face. Over the course of weeks, she took off all the galvanized metal lining and sorted good wood from bad. When it was all said and done, she was left with piles. Piles of scrap metal and wood. She began to doubt herself at this point. This was a MESS; could she really make something out of it?! It sat for a week or so while she searched for a top and legs. Her search for a top ended when she found an old marble piece from an antique buffet listed on Craigslist. It was 6' long and the ice box was 8' long but since it was completely in pieces, it could be made smaller. The marble fit her requirements of being light colored and in keeping with age and character of the ice box. The seller wanted $25; definitely in her budget. The search for legs ended one day while she was browsing the Habitat Restore. Chunky oak spindles for $3 each. Inspired once more, the woman began to reassemble the ice box, making it fit her dimensions. For weeks she worked. 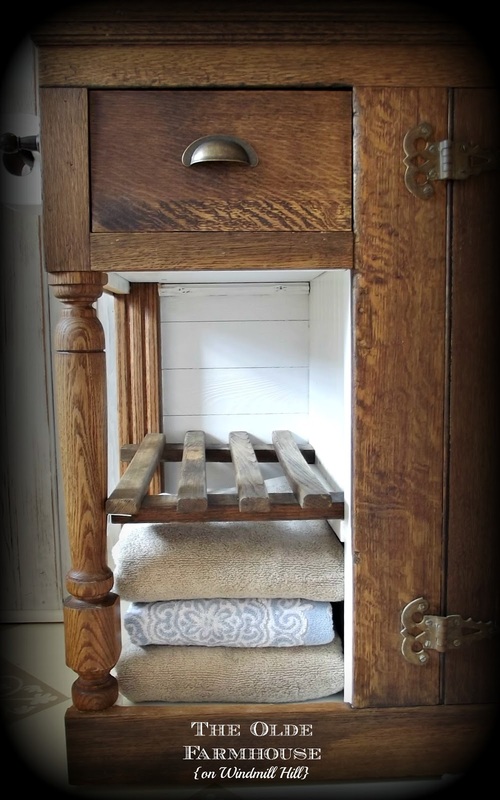 Since the ice box did not originally have drawers and she wanted drawers, she was presented with a stiff challenge. Her wood working skills are below beginner level so she began looking for some cast off drawers to rescue. Her search was once again rewarded at the Habitat ReStore. An oak pedestal of some sort with 4 dovetailed drawers. The only thing that held her back was the price; $30. She went home without it but the more she thought about it, she decided to get it. She reasoned that she would still have the pedestal and 2 drawers to use for some other project. And even if you figure the entire $30 for 2 drawers, she knew $15 per drawer is still a decent price. So back to the ReStore she went, hoping it was still there. It was, and this time she brought it home with her. Now armed with all the required components, the reassembling continued in earnest. Making many mistakes, she pressed on until the project was nearly complete. It was carried inside and over the next (many) weeks was completed. So that the drawer fronts would match color and wood style, she cut a piece the right size from a panel saved from the end that was removed. She just glued and clamped it onto the existing drawer front. At Menards, she found bin style drawer pulls that nearly matched the finish of the original hardware. They further helped to secure the front to the drawer. The drawers were in bad shape inside covered with ink (or grease?) and not pretty at all so she prettified them with paint and some wallpaper that she had on hand. The space under the drawers she divided in half with the wooden slat shelf that had originally been in the center section. She knew she wanted wire baskets to sit on the shelf and she had to search a long time before she found the perfect dimensions. This search ended one day on eBay; the perfect dimensions for a reasonable price. She sewed liners and they now house extra toilet tissue and wash clothes/ hand towels. 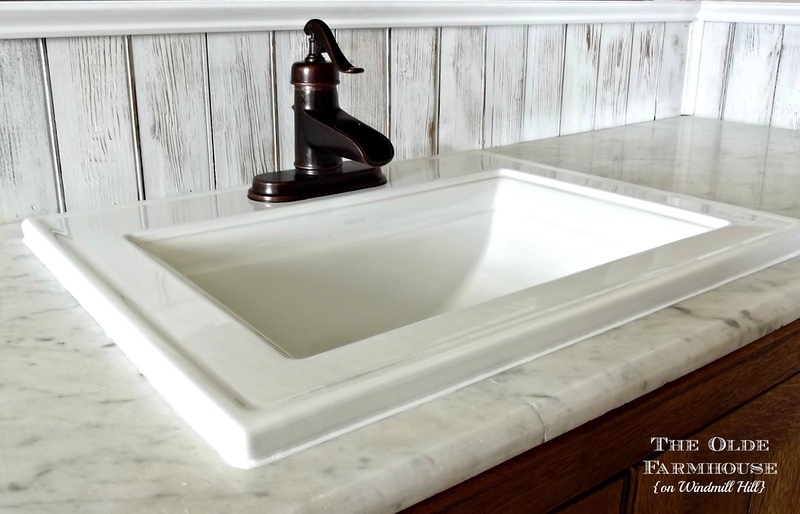 The help of a mason friend was enlisted to cut the slab of marble for the sink. It was also a little too deep so he cut a section off the back. The marble top came in 2 pieces when he cut the sink hole (the cracks were already there) but the woman was undeterred since mason friend assured her that it could be epoxied back together. The finish on the marble was very dull and dirty from neglect so the woman invested in a set of diamond hand polishing pads and with much elbow grease was able to clean it up and bring back some shine. She did not want it too shiny because that would not be in keeping with the character of the whole piece. 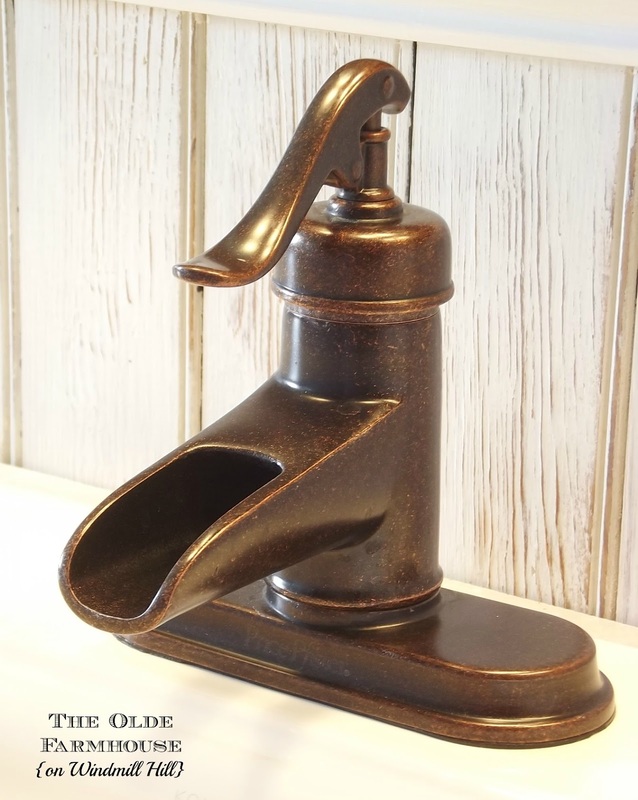 The woman had fallen in love with a pricey faucet and debated for a long time before deciding to go with the one she loved versus a cheaper version. She shopped around for the cheapest one and ended up buying one on eBay for about $50 less than retail. She's so glad she went with this one; it's so pretty! The sink she wanted was purchased on Amazon for about 50% of Lowe's price because she uses Swagbucks for her search engine and converts her swagbucks into Amazon cash. The interior was painted white and the ugly brown paint was sanded off the outside and stained and waxed; showing the original, warm beauty of the old wood. It is far from perfect but it's very functional and very much the farmhouse look the woman was going for. And that is the tale of The Rescue. i love this piece. oh my gosh. i have been looking for a large icebox on kijiji (canadian craigslist) and haven't gotten lucky yet. you did a lovely job. You have out-done yourself once again! 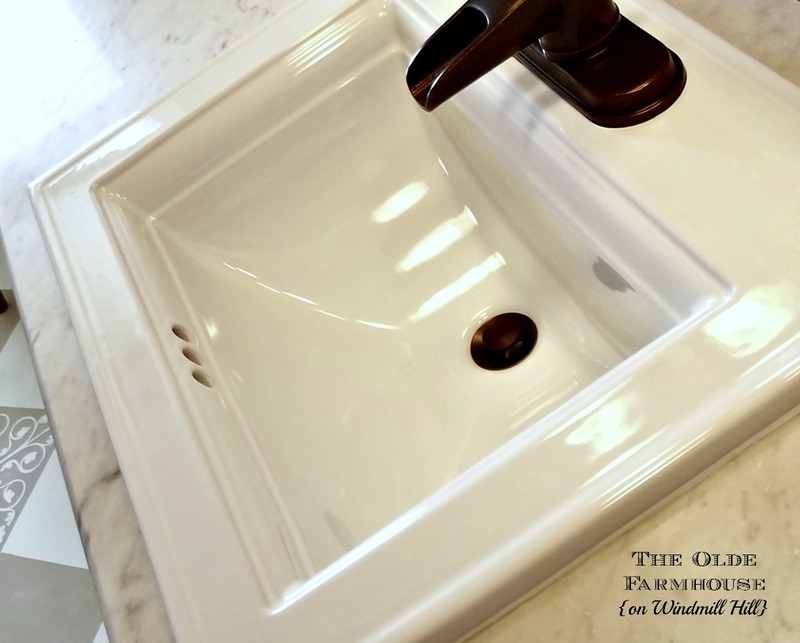 This sink base is absolutely gorgeous and screams Farmhouse! I found you through Farm House Porch link party. This is beeeeeutiful just beautiful! You did a fabulous job, Rachel! I'm sure you will treasure that for many, many years. Yes, Julie, I think it's settled in for awhile. :) Thank you! I absolutely love this! You did a beautiful job. The open shelves with the rusted wire baskets was a wonderful idea. Can't not say how great this is! If only we lived by each other we would be fast friends and have such great adventures together. Not sure our husbands would like it! lol. I love how you put so many separate pieces together!! This is GORGEOUS! I LOVE it! You did a fantastic, amazing job. I hope your husband thinks it was worth it, because it definitely is! :) I cannot tell you how much I like it. How beautiful! You have done a wonderful job again! What a gem your husband has in you! Blessings! Rachel, this is absolutely beautiful! Once again your talent amazes me. Wow! That is really beautiful! Stopping by from the Beneath My Heart March linky party! Aww, thanks. :) Check CL often; you may get lucky. I know I sure did. This was a rare find! WOW! B-e-a-utiful! What an aweseome transformation! I would love to have this in my house! Thanks for linking up at Give Me the Goods Monday! Hope to have you paraty with us again next week! Hi Rachel. Utterly beautiful! You did such a great job putting it all together. I can't imagine it being any prettier! I'd love to have a piece like this. 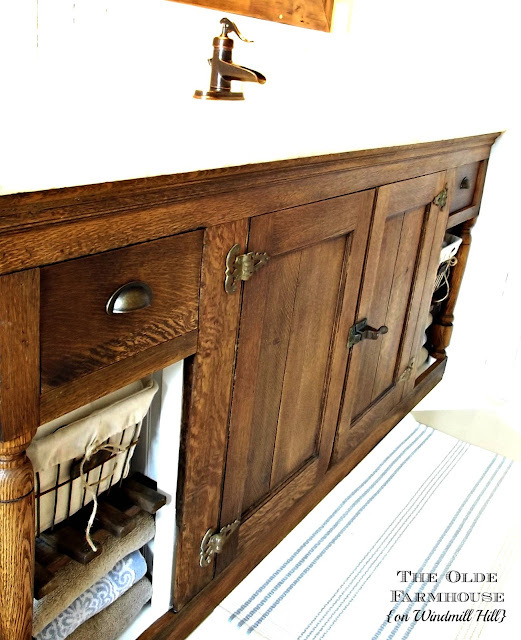 We had an old farm house sink and built in cabinet that I couldn't wait to get rid of and now I wish I had it back so much. I saw you over at Beneath My Heart and I'm so glad I did because now I'm a new follower. P.S. I'd love you to stop by and visit sometime. Oh my goodness, I'm in love! What a beautiful work of art this piece has turned out to be. Amazing! I loved reading your post. This vanity is stunningly beautiful! You are such an artist to be able to envision this from that humble little icebox. My hubby makes fun of me because I refer to the fridge as the "icebox". That's just what we called it in my family. Can't wait to show him this transformation! Amazing job! Found you through Roadkill Rescue! This is fantastic, so I'm stopping in to pin it to my creative furniture board. I love it, great job! This is the most beautiful transformation I've ever seen! I would love to do something like this in my master bathroom! Had to pin it! Now, I'm following you by email. Thanks for sharing! Your piece is bigger than most of the rooms in my cottage! It turned out perfect - what vision you have. What an incredible piece! You have transformed it into a beauty! I can see it smiling there proudly once more. Awesome. I love how you put shelves on the ends. Beautiful rescue! Aww, Kelly, thanks! :) Pinterest is great for inspiration. I don't know that I'd have thought to do the shelves if I hadn't seen it on Pinterest. I'm literally swooning. and drooling. That is one of the best remakes I've seen, beautiful job! Incredible! I'm in awe. I love the piece and the wonderful story! Thanks for sharing! Stunning! Great work bringing it all together, you're patience paid off! Bravo! On the story and the makeover. Love it to pieces! WOW. I have no other words. Wow. What an AMAZING job! I absolutely love it! What a stunning transformation-you should be proud! I love it. Oh, my goodness! I'm completely blown away! You did such a fine job of giving new life to such a terrific piece. I love turning people's cast-offs into something great, too but you really raised the bar with this one! Thanks for sharing. It's because of projects like yours that I have a garage full of free stuff. I keep thinking there's something wonderful there, I just have to figure out what it wants to be next! I found through MMS Furniture Feature Friday. Beautiful! I love old pieces and am so glad you rescued and remade this one. It looks great! I'm speechless Rachel! 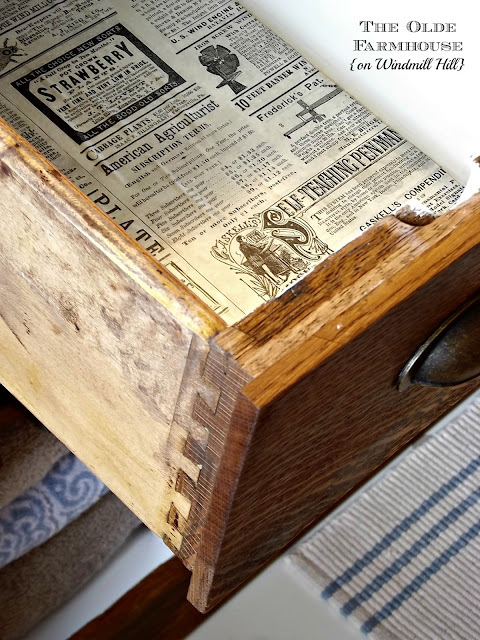 This is absolutely the best furniture redesign/makeover I have ever come across on the web, complete with a great short story to boot! 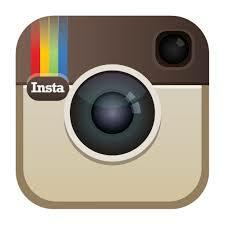 Looking forward to getting acquainted with your blog. 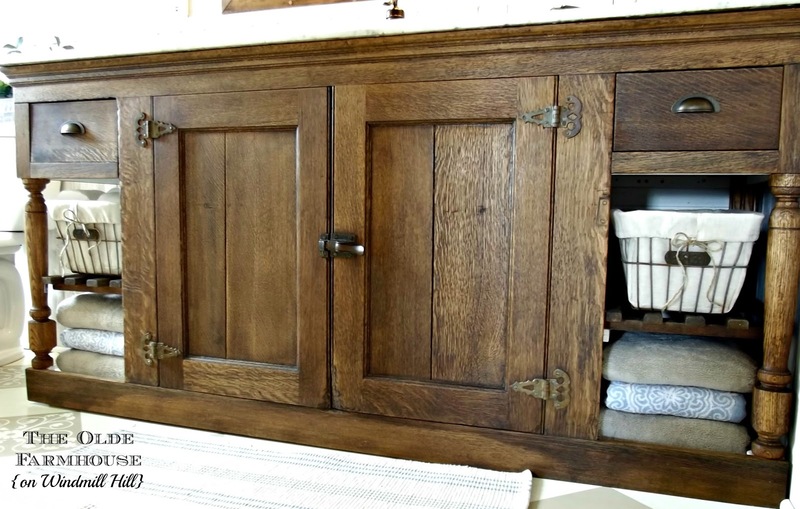 We own a 48 inch, 3 door upright, oak icebox bought for $100 back in 76. Every time the antique dealer saw me again he offered twice the money to get it back. It's used as a pantry in the kitchen. Your piece is so unique, being horizontal. SO glad you rescued it and it turned out so charming. That is amazing! Looks like something from Pottery Barn, only better. This is one of my favorite posts of the year! Love it! WOW!! That looks amazing and perfect for the space. Love it!! Form Denver antique bathroom vanities, you can enhance the beauty of your bathroom. In the bathroom showroom of my friend, John has various types of antique bathroom vanities are available. I just stumbled upon this doing a google search to get ideas for my farmhouse bathroom. This is the best vanity I've ever seen! I love it! I wish I had your skill and talent to do something like this. But for those of us who don't - do you know where I can find something like it? I live in the Los Angeles area. That is Beautiful!!! And then even more so once you reworked it! Good job! Just wanted to stop by again, as I often do, to let you know this amazing repurpose project of yours is featured as a Friday Favorite. Hope you stop by and see how I bragged about you. Outstanding job on a very lovely old piece!